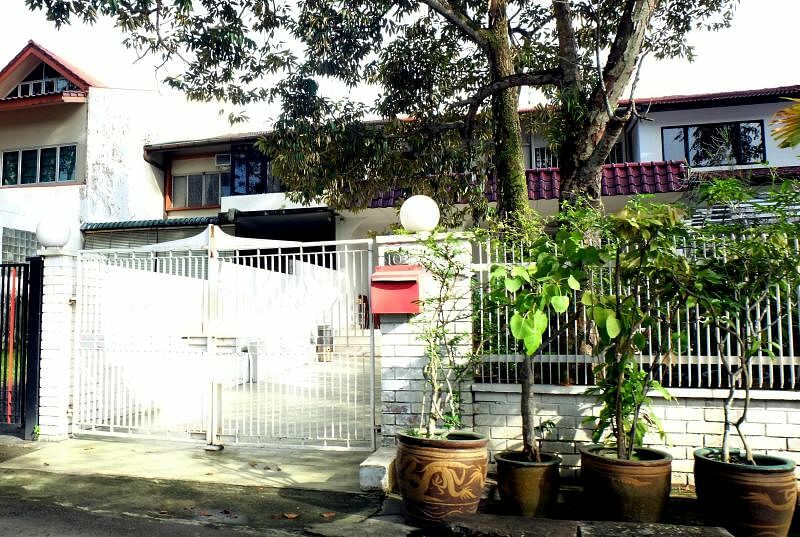 SINGAPORE - An 80-year-old widow has sued her eldest grandson over the $4 million Farrer Road family home which is registered in the sole name of her husband. A four-day hearing into the suit filed by Madam Lim Hoon Neo against her 39-year-old grandson Ang Wee Chai, began in the High Court on Wednesday (Nov 8). Madam Lim is claiming a 60 per cent stake in the two-storey terraced house, which her husband had willed only to their youngest son and their eldest grandson. Mr Ang Ho Sai, who died at the age of 83 in 2014, did not mention her in his will. He also appointed the grandson as the sole executor of his estate. The late Mr Ang and Madam Lim married when he was 18 and she was in 14, and had five children together, but one died in 1982. In the 1950s, Madam Lim started working as an amah at the Alexandra Hospital with a monthly salary of $96 but stopped working after she had her third child. Her husband initially worked as peon in the British army but later ran a car rental business and a watch business. While he paid for household expenses, Madam Lim said she supplemented the household income by renting rooms in their old zinc-roofed house, selling homemade rice wine and making friendly loans to neighbours. In 1967, Madam Lim said they agreed to buy the Farrer Road house for $36,500. Madam Lim claimed she contributed cash of $22,000, or 60.3 per cent, to the purchase price. Her lawyer, Mr Tan Siah Yong, said in his opening statement that at the time, the house was put in her husband's sole name as he was the head of the family and was the one handling the transaction. The family lived in their house until the children were married and moved out, except for youngest son Poh Seng. In the suit, Madam Lim contends that even though her husband is the sole registered owner, she owns 60.3 per cent of the house based on her contribution. She is asking the court to declare that she has the right to live in the house until it is sold, which she should get a 60.3 per cent of the proceeds. Her grandson, who is represented by Mr Darrell Low and Mr Samuel Wee, said he has been taking steps to fulfil his grandfather's last wishes. But Madam Lim and two of his uncles, have been thwarting his efforts to do so by, among other things, refusing to cooperate with his attempts to sell the property in accordance with the will. As a result, last year, he filed an application in the Family and Justice Court, asking for an order to let him administer the estate by ordering the sale of the property and for his grandmother to vacate the house. He contends that his grandmother filed the High Court suit to block his attempt to do so.